Best Buy has announced a new back-to-school deal, and it's a goodie: everyone can get $200 off a MacBook, and students can shave off a full $300. Pass the credit card. The offer, which runs until July 27th, offers $200 off the retail pricing for two 13-inch non-MacBook Pro models. The 2.5GHz i5 base model, with 4GB of memory and a 500GB hard drive, drops to $1000, or $900 for students. The higher-specced 2.9GHz i7, with 8GB of memory and a 750GB HDD, drops to $1,300 (or $1,200). 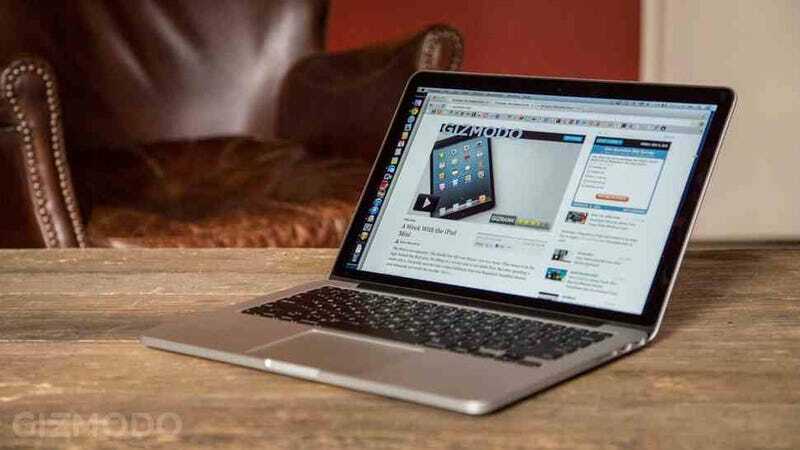 Update: This post incorrectly stated that retina MacBook Pros were on sale. It's in fact the non-retina models.